Spectacular Craftsman beauty, brilliant balance of - Spectacular Craftsman beauty, brilliant balance of vintage details and modern updates. Updates include A/C, roof, storm windows, flooring, paint and fixtures throughout. Third level transformed into a sleek apartment, perfect for guests, returning students, or AirBnB. We love the original trim and moldings, high ceilings, wood floors, built-ins, roomy patio and backyard, French doors opening onto big porch. Fenced yard and multiple off-street parking. 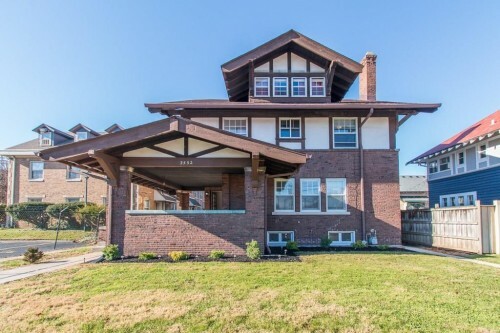 Fab location, stone's throw to downtown, Broad Ripple. Easy access to I65. 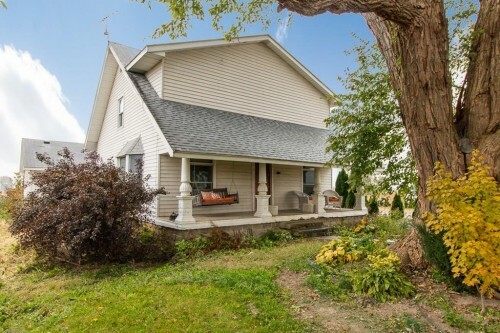 McCordsville Farmhouse - Have you always wanted to live in a farmhouse? Check out this lovely home in McCordsville that sits on just over three acres of land. Plenty of space for gardening, which the current owners have taken advantage of. Original hardwoods, high ceilings on main level. The exposed brick and woodwork in living area complete the classic farmhouse look. Great storage spaces: large closets in all the bedrooms and lots of cabinets in the kitchen. HVAC was installed in 2016. Make your appointment now to see it for yourself! 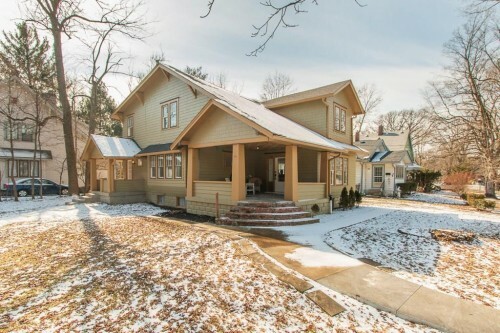 Classic Irvington Home - Seller financing's available for this Gorgeous 1885 Irvington classic is ready for new owners. 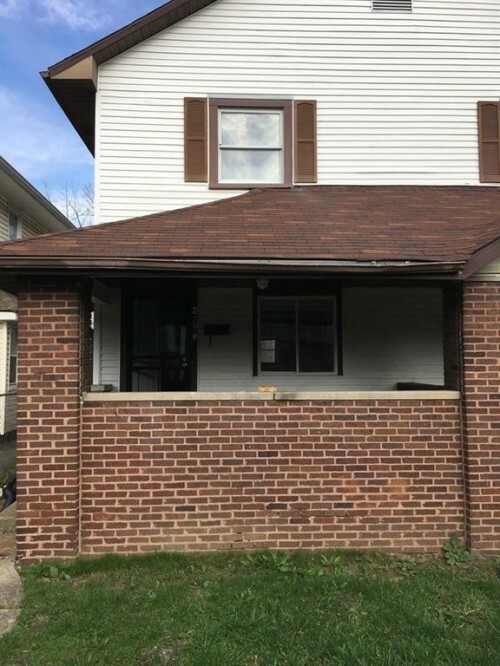 Hard to find four bedrooms, 2.5 bathrooms on a corner lot in the very heart of Indy's hottest historic neighborhood. Spacious, sprawling, and awash in pure natural light. So many intelligent updates include new hardwood floors downstairs, refinished hardwoods upstairs, beautifully updated bathrooms, fully remodeled kitchen with new appliances, main level laundry room, new high efficiency HVAC, upgraded 200 amp electric, new attic insulation to keep you cozy, great new side porch, and fresh paint inside and out. For extra peace of mind, the seller is including a home warranty.Close to all things Irv, 4.5 miles from downtown. Nearly 2300 square feet of fully renovated living - Nearly 2300 square feet of fully renovated living space, this gorgeous 1885 Irvington classic is ready for new owners. Hard to find four bedrooms, 2.5 bathrooms on a corner lot in the very heart of Indy's hottest historic neighborhood. Spacious, sprawling, and awash in pure natural light. So many intelligent updates include new hardwood floors downstairs, refinished hardwoods upstairs, beautifully updated bathrooms, fully remodeled kitchen with new appliances, main level laundry room, new high efficiency HVAC, upgraded 200 amp electric, new attic insulation to keep you cozy, great new side porch, and fresh paint inside and out. For extra peace of mind, the seller is including a home warranty.Close to all things Irv,4.5 miles from downtown. Single Family - Indianapolis, IN - This is the one you've been waiting for, the classic brick Masthead beauty nestled into a serene street with sweet views of Geist Reservoir across the wayâ€”so sweet that sellers created a front patio just for the purpose of gazing at the water. They've also transformed the basement into a gorgeous one-bedroom guest suite in the lower level with private entrance and beautiful stone fireplace, stunning floors & an amazing full-service kitchen. Upstairs, you'll adore the chef's custom kitchen, multiple fireplaces, massive amounts of storage space, & views of the water from several rooms. Outside, a magnificent SALTWATER pool features a brand new automatic pool cover & fabulous cabana with full bathroom. Beautiful home, quality craftsmanship. This Private Estate sits on 11 Spectacular Acres - This Private Estate sits on 11 Spectacular Acres & is an easy commute to Indianapolis & Cincinnati. Professionally designed, this home offers the best of everything including a home theater, gym, game room, lots of entertaining space & built-in bar on the walkout lower level leading to 2.5 acre pond. Enjoy the deer & blue heron from several balconies overlooking the property. Every detail was carefully selected in this custom built home including an Amish-built library & stunning master closet. German stained glass & European Chandeliers add Artisan Touches you've been looking for plus geothermal & high efficiency modern amenities. Convert the 2nd laundry room to full kitchen to complete a private guest suite. 3+ garage & carport pass thru.